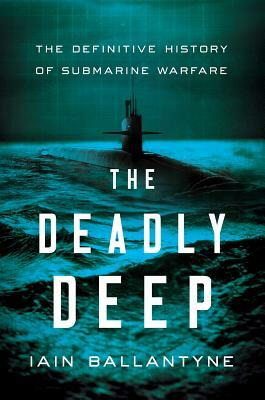 The Deadly Deep: The Definitive History of Submarine Warfare (Hardcover) | novel. A fascinating and comprehensive account of how an initially ineffectual underwater boat--originally derided and loathed in equal measure--evolved into the most powerful and terrifying vessel ever invented--with enough destructive power to end all life on Earth. Iain Ballantyne considers the key episodes of submarine warfare and vividly describes the stories of brave individuals who have risked their lives under the sea, often with fatal consequences. His analysis of underwater conflict begins with Archimedes discovering the Principle of Buoyancy. Our clandestine journey then moves through the centuries and focuses on prolific characters with deathly motives, including David Bushnell, who in 1775 in America devised the first combat submarine with the idea of attacking the British.